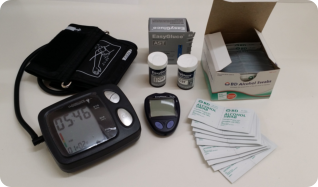 Lantana Pharmacy is your one-stop pharmacy for your medication and diabetic care needs. We help you manage your health with the quality products we offer at such affordable prices. Our Pharmacy is also an Art Gallery where local artists can display their work – delighting our customers while attracting interested buyers. We invite you to shop for your health care needs at Lantana Pharmacy today! We are glad to help you in any way we can. Please don’t forget to bring your prescription with you for your medication refills. If not, our staff can coordinate with your prescribing physician in your behalf. Call us at 805-388-5888 for further assistance! Thank you for choosing Lantana Pharmacy.